UPDATE: Due to the overwhelming influx from Google searches, it seems this may be a popular topic. If you are interested in a finished package that will mount to your camera, e-mail me at (thisdomainname)@gmail.com. I have already ordered the circuit boards and components and they should be arriving within the next few weeks. So far I have built an automatic garden watering setup using a 12VDC solenoid valve connected to my garden hose. (I'll hopefully get the details on this posted later) And this, an automatic camera trigger for capturing shots of lightning bolts. Once I get out in the field to capture actual lightning, I will come back to edit this post. This will come with a transmitter and receiver. The transmitter is the darker of the two. Wire up the LDR (photoresistor) with one leg connected to the 5V and the other to the 220 Ohm reistor and A0 (Analog Input, pin 0). The other side of the resistor connects to ground. The IR transmitter is connected to D13 (Digital Out, pin 13) and ground. It acts like an LED, so the long leg (positive side) must be connected to pin 13. A short side note: this reminds of me of a few years ago, hacking the original Xbox to put in a modchip. I had a bright blue LED that I wanted to solder on the board for power indication, but the clearance to where I wanted to mount it was not enough, so I clipped the legs shorter. This is when I learned that polarity in LEDs matters, and if you clip the legs, make sure you clip the ground side shorter, or in some other way mark it so you remember. LEDs will not function if wired backwards. 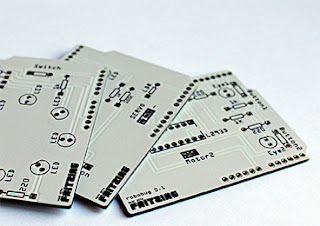 ... all you will have left is building the "sketch" - what the Arduino community calls the software / program. I will assume you already have a working knowledge of sketches and setting up the software on your computer and will not go into those details. 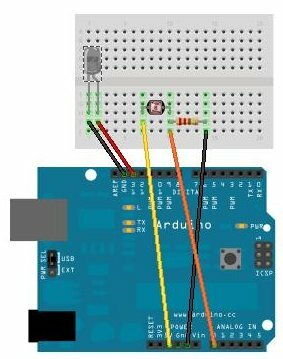 If this is your first project, I highly recommend picking up the book Getting Started With Arduino by Massimo Banzi (co-founder of Arduino) from Radio Shack or any book store. It goes well with the Arduino Uno starter kit. This currently is being powered from my USB port. 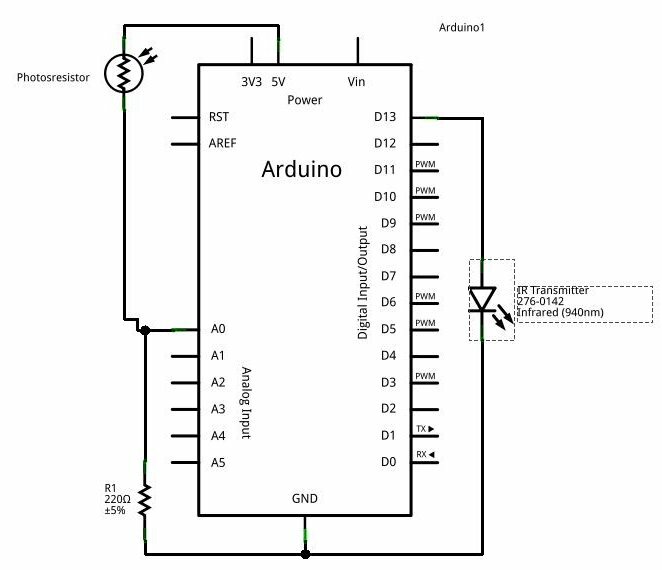 Arduinos are designed such that once the sketch is compiled and uploaded, it is stored in the EEPROM, which has a sort of (very) miniature flash drive inside to store the machine code. Therefore, in order for this to be of any use, I would need to wire in a battery pack to power the board out in the field. 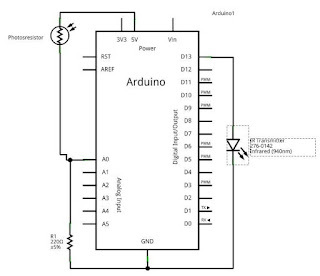 Once the batteries are switched on, the Arduino runs the loop() part of the code continuously until power is removed. Love it - just built one in the Media Lab at Mount Holyoke College to get our D80 firing continuously. Of course, with a tripod you could also capture lightning using the bulb mode on your camera - just open the shutter and close it after a flash. But this is so much cooler. I have done it with a tripod before with some success, but the lightning I was trying to grab that sparked this idea was at dusk with an amazing purple hue that I was trying to capture, which would've been washed out with a long shutter. I probably could've taken 2 shots and overlayed in Photoshop, but my tripod was not with me, unfortunately. Glad to see these types of projects are being used in a classroom setting. 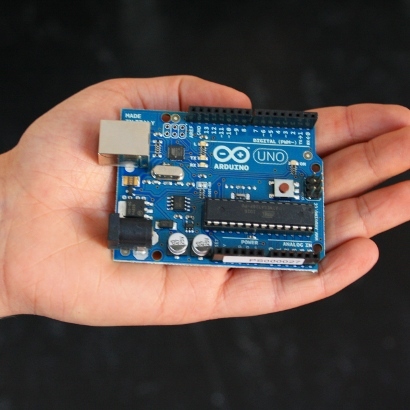 Arduino is perfect for an unimaginable amount of real world interaction.